Fortunately for us, Ubuntu is the premier platform these ambitions. Developer workstations, racks, in the cloud and to the edge with smart connected IoT – Ubuntu can be seen being used far and wide as the platform of choice. What this means is that we have quite a lot to talk about when it comes to AI and machine learning. 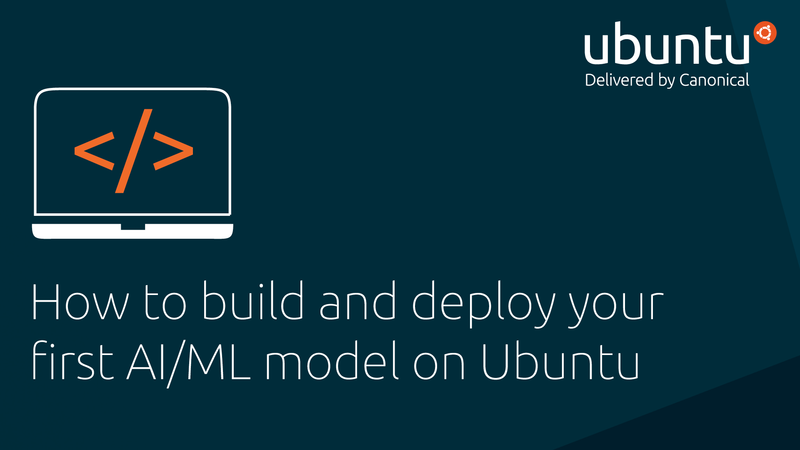 From introducing the topic in our first webinar, ‘AI, ML, & Ubuntu: Everything you need to know,’ (which you can still watch on demand) to now detailing, ‘How to build and deploy your first AI/ML model on Ubuntu’ in our latest webinar. And finally, we’ll be taking some time to answer your questions in a Q&A session. It’s time to stop just talking about artificial intelligence and machine learning and become an active participant by learning how to build and deploy your first AI/ML model on the developers platform of choice – Ubuntu. Join us on the 17th October to begin your AI journey.